Grip the clevis as shown and gently squeeze pliers. 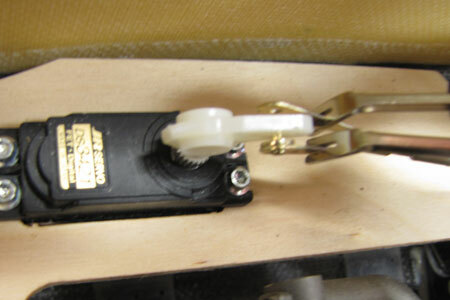 Maneuver the clevis pin into or out of the control arm's 1/16" hole. Close clevis with opposite action. and saves wear and tear on your fingers. Access into hard-to-reach areas are now much easier and you don't need a screw driver that can slip and puncture the adjacent surface. Flap Drive Linkage Inside fuselage: rotate servo arm to apply clevis. 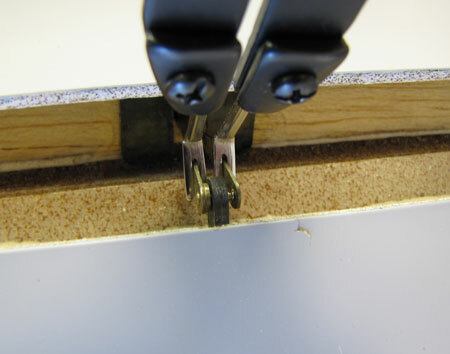 And yes, if you accidently drop the pliers on a hard floor, the tips may break. Available only to owners of the complete "Clevis Pliers" tool. BVM wants our products to be successful. 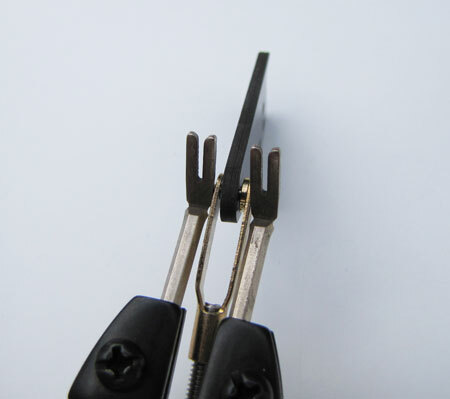 There are instructions on how to use this precision tool that come with the complete Clevis Pliers package. The instructions are necessary for "success". 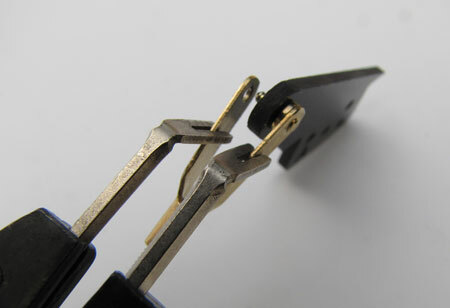 Additionally, BVM makes an adjustment to the pliers to allow the Fork Tips to properly align. 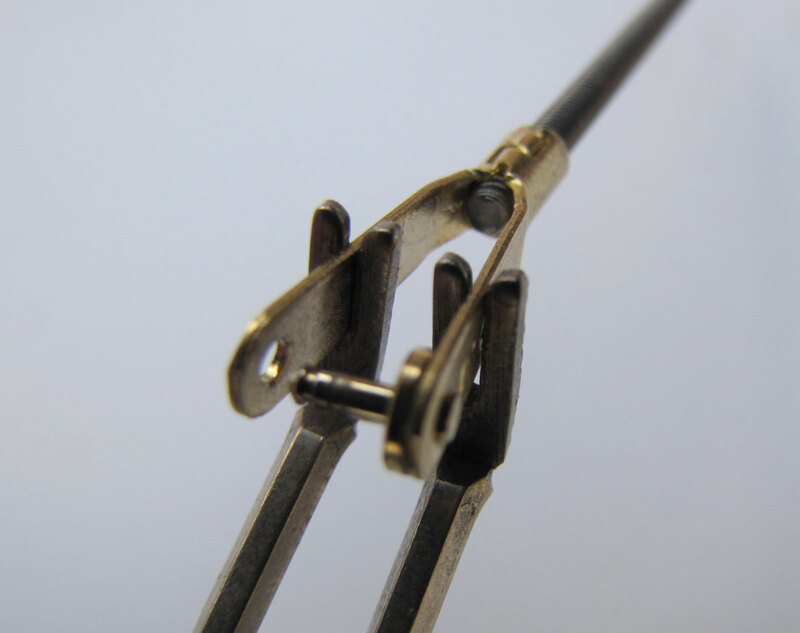 I received my new clevis pliers last week and I've got to tell you that this new tool is one of the finest items to come out of the BVM factory. Absolutely ingenius! For all us old guys with arthritic fingers the pliers put the fun back into rigging control surfaces. That and the special drill bit that Bob had the foresight to include, make this tool the greatest thing since sliced bread! I continue to have great admiration for the products BVM turns out. You guys never rest on your laurels when it comes to improving your product line and that is refreshing in today's business world. Thanks again for a great product. Every jet modeler needs a pair in his workshop.